Broadcaster and documentary maker Jesse Cox, who took the position of Audible Australia’s head of content in September, has passed away at the age of 31. Previously, in his four years at ABC Radio National, Cox was the executive producer of the Walkley Award winning Trace podcast and was behind the network’s podcast series ‘This is About’. Prior to joining the ABC he had worked with FBi radio. Cox died after a tumour in his brain began bleeding, according to an internal ABC email seen by Mumbrella. Head of Audible APAC, Matthew Gain, said in a statement: “Jesse was an incredibly talented, inspiring and innovative member of the Audible team who, within only a short space of time, made an incredible impact both on his colleagues and in his work. “Jesse was one of the finest audio producers in this country. The body of work from his career at the ABC and his extensive list of awards suggest a long career, not one that was only getting started. The Audible team is incredibly privileged to have benefited from our time with him. Cox won a silver prize for best documentary at the 2014 Third Coast International Audio Festival for The Real Tom Banks. He was also co-creator and executive producer of All the Best, FBi Radio’s nationally distributed documentary and storytelling program. 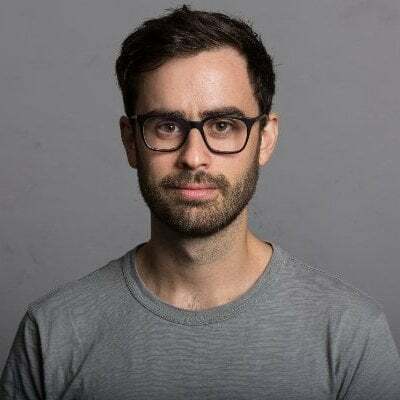 At the ABC, he hosted and produced Long Story Short with Mike Williams, hosted Radiotonic and created This is About with Sophie Townsend and Belinda Lopez, working with Lopez, Jess Bineth and Jordan Raskopoulos. “Jess Bineth and Belinda Lopez, Jesse’s co-producers on This is About, will create a special tribute to Jesse this week, which you’ll be able to hear on the This is About feed. It will be well worth a listen, and is made possible by Jesse’s obsessive archiving,” continued Mason. so heartbreaking for his family and a poignant reminder that our live’s are short. Such a sad loss. I met Jesse and FBi and have been enjoying all the amazing podcasts he has been involved in since. So terribly sorry to hear he has passed so young.